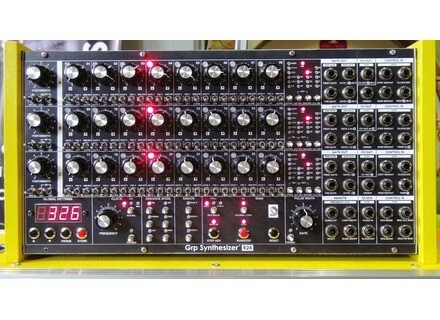 R24, Sequencer from Grp Synthesizer. Grp Synthesizer is now accepting pre-orders for its R24 analog and MIDI sequencer module. The Grp R24 had been unveiled back in November, 2013, but we had to wait more than a year for the manufacturer to finalize the project and launch production. The Grp R24 is a rackable analog sequencer that combines CV/Gate, MIDI and USB connections and allows for creating 8x2, 16+8 or 24-step sequences, with the user being in charge of the step lengths. It will also be possible to control MIDI note select and velocity and CV values can be programmed in real time for each step. Internal power supply for standalone use, also compatible with Moon, Cotk or dot.com modular systems. 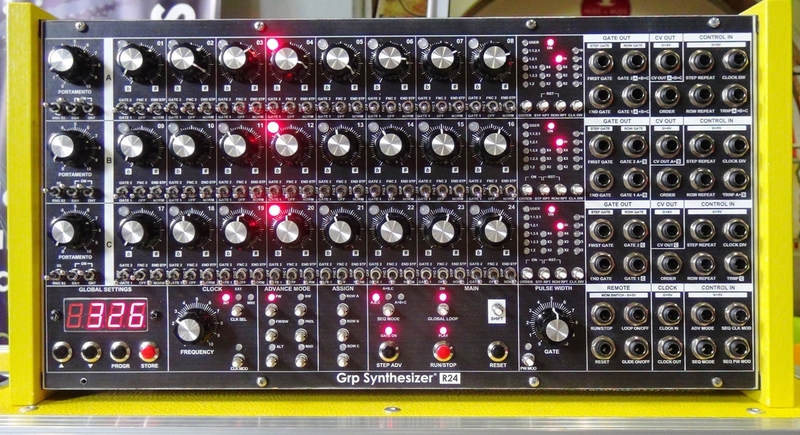 The Grp R24 retails for 1,277 € + VAT where applicable, Grp Synthesizer requests a 500 € deposit when pre-ordering (via transfer only). Production will start when 50 units are ordered, with about 15-20 units manufactured each month. Visit www.grpsynthesizer.it for full details. New public beta version for the Overbridge Elektron released v0.9.5 public beta for the Overbridge software, which is available for the Analog Four, Analog Keys and Analog Rytm instruments. [NAMM] 3 new Yamaha PSR keyboards Yamaha introduces at Summer NAMM in Nashville three arranger keyboards in the new PSR-S series.